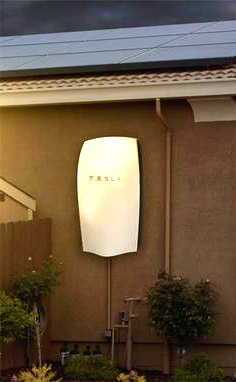 The former Weatherill Labor government announced plans in February to install Tesla battery systems in 50,000 homes for free to create the world's “largest virtual power plant” and slash energy bills. At the time, the Liberal opposition announced a similar plan to provide battery storage units. This week, state’s new Liberal government under Premier Steven Marshall says it will implement both plans. “It's very important to be clear about this — we are honouring the existing commitments around the Tesla virtual power plant (VPP),” Energy Minister Dan van Holst Pellekaan said. “The VPP project is currently proceeding with the two trial phases as planned. The trial phases involve installation of home energy systems on 1,100 Housing SA homes. “These are supported by a $2 million grant and a $30 million loan from the State Government. Mr van Holst Pellekaan says he has met with Tesla. “Very simply, a Liberal Government in South Australia means more, not fewer, batteries,” he said. “We'll show the world how the mass adoption of home batteries can and will work.